All works for this project (interior and exterior) are now completed. We will look at getting the second handrail installed by a seperate contractor. All works (interior and exterior) are now completed with the following exceptions: the upper set of exterior metal steps need some strengthening and a second handrail for the lower set of steps has yet to be fitted. There will be a celebration day on Sunday 3 September, 2-6pm. See the club calendar for more info. Interior: the whole of the building is now signed-off so can be used. 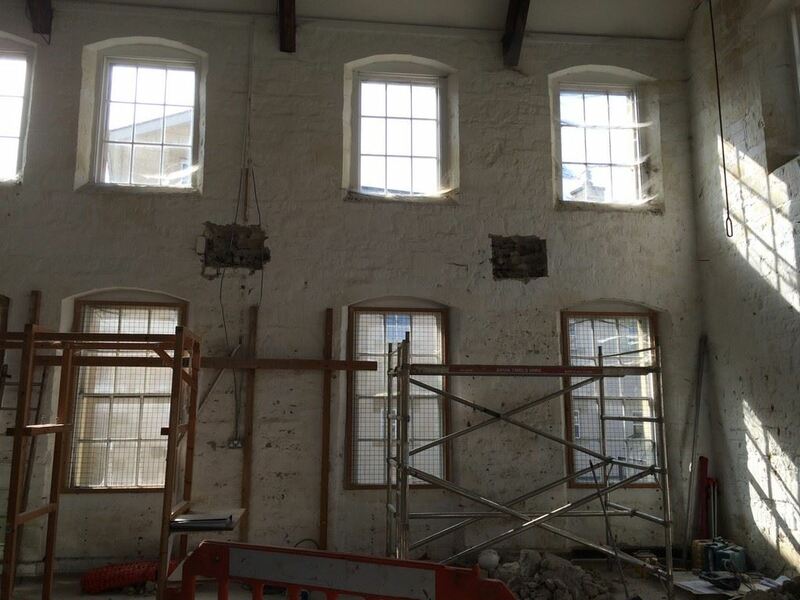 However there are still some works to be done to finish off the interior so please be aware workmen may be on site. Access to the basement may be restricted due to restrictions on access via the gates to the carpark. This is due to the exterior works. If you need access to the basement please contact Mark Payne. Work to complete the new river-access steps is underway. There will be no access to the river or the carpark until further notice. If you need access please contact Mark Payne. The works to the interior of the Clubhouse are nearing completion. 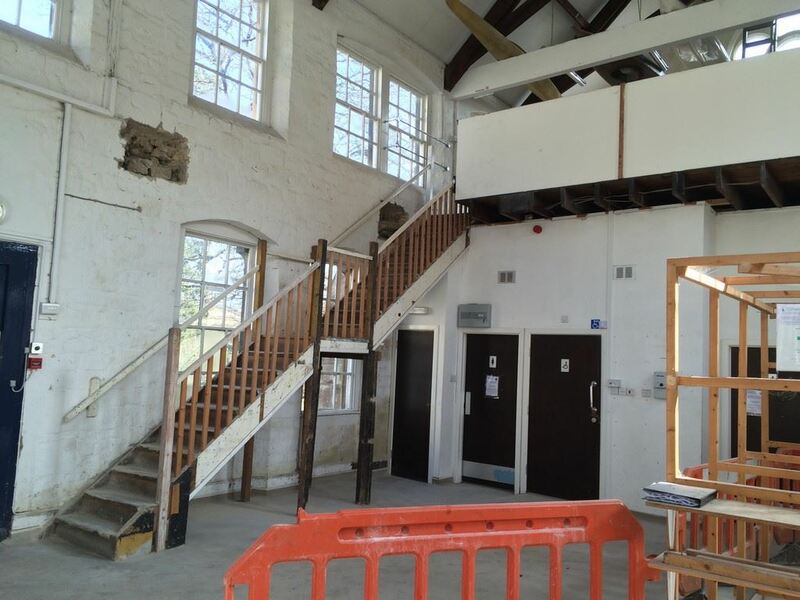 This month the flooring upstairs was completed and this week we had a meeting on site with the architect to agree a list of things that need to be done to finish the interior. Most are relativley minor, but some are safety features. 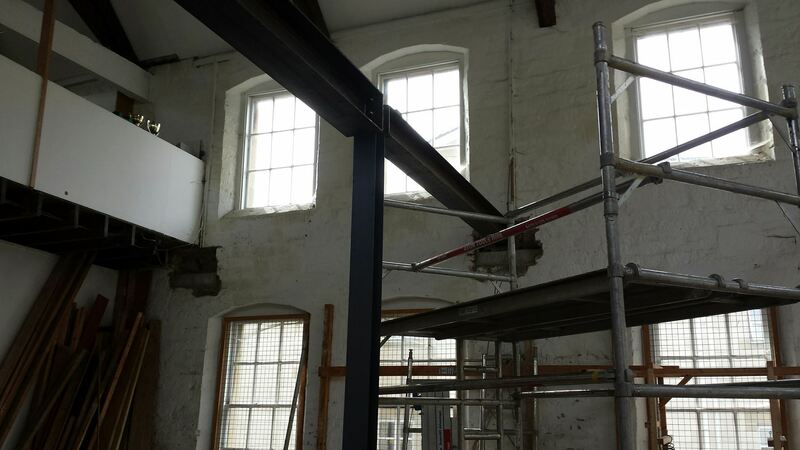 Until the building is signed off by the Building Surveyor the top floor remains off limits, but it is looking good. There are also the external works to improve access to the river. These were started a couple of months ago with the widening of the lower set of concrete steps. There are handrails needed to finish these off and a slip hazard on the right as you face the river that needs sorting, so take care. However the major job left to do is the installation of the new top steps. The contractor has told us that this will be completed in February and we will try and hold them to this, (but we have had dates from the contractor before). 13 May: new floor, stairs, and one internal wall now in place. Some minor finishing touches needed but otherwise phase 1 is as good as done. There will be a meeting next week to plan phase 2 which will start very soon. 1 April: the final beam is now in place. Please note: there is now no access to the mezzanine floor and so the tea point. 29 March: 2 of the 3 horizontal beams now in place. 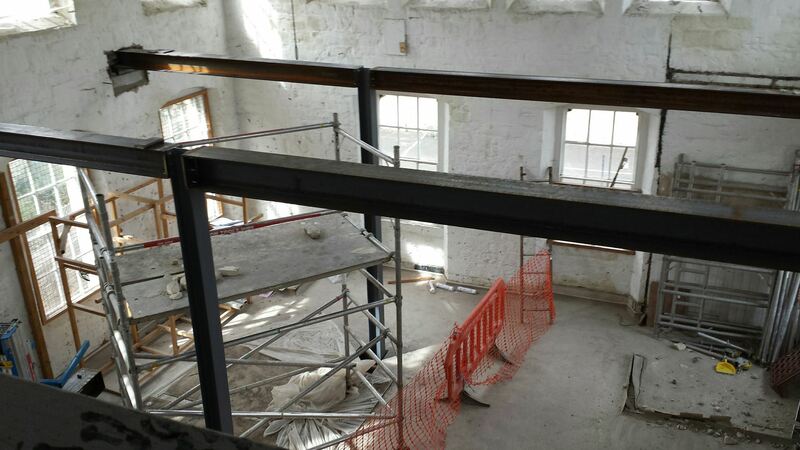 24 March: steel uprights are in place and the horizontal beams are due to be fitted next week. 14 March: pads on the walls are being constructed to fix the horizontal beams to that will run under the new floor. There will be 3 beams. 10 March: foundations have been dug in the basement for the pillars that will support the upper floor. 8 March: builders are on site and have started work this week. 20 February: supervised by Sue & Martin, club members removed boats and racking to allow builders the space to start work. Space cleared in the basement and on ground floor as the new top floor will be built on pillars which go down to the basement where foundations need to be dug. The new floor will lie between the 2 lines of windows.